I did make some changes – I kept the asparagus and I omitted the peas. Season steak with salt and pepper. Whisk grated garlic, mustard, vinegar, honey, cayenne, 1/3 cup olive oil, and 1 tablespoon of water in a medium bowl. This can be done while the skillet is heating up. The skillet should be on medium high heat. Cover steak with olive oil and cook on both sides. 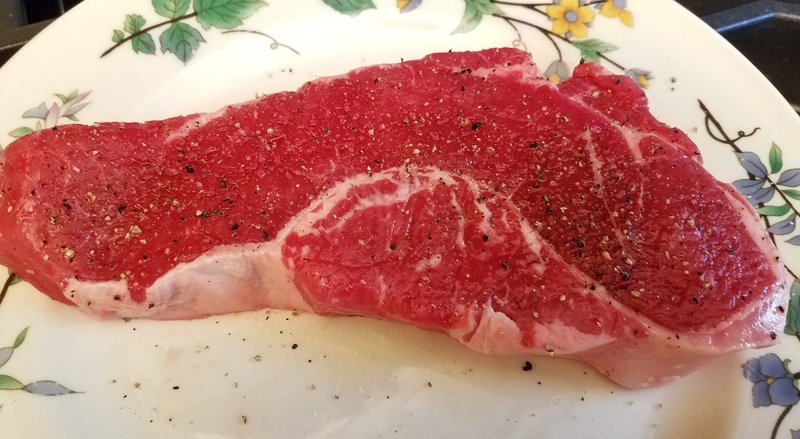 Cook until medium rare (120 degrees F). I ended up searing mine first then finishing it up on the grill. When you remove the steak, pour off any extra oil and leave the extra bits behind. Heat up the remaining two tablespoons of oil on the pan on low. Add the sliced garlic and all but 2 tablespoons of scallions (for garnish) and cook until translucent. Add asparagus with a splash of water. Season with salt and pepper and cook until tender. Remove from heat. Slice steak and place over the vegetables. 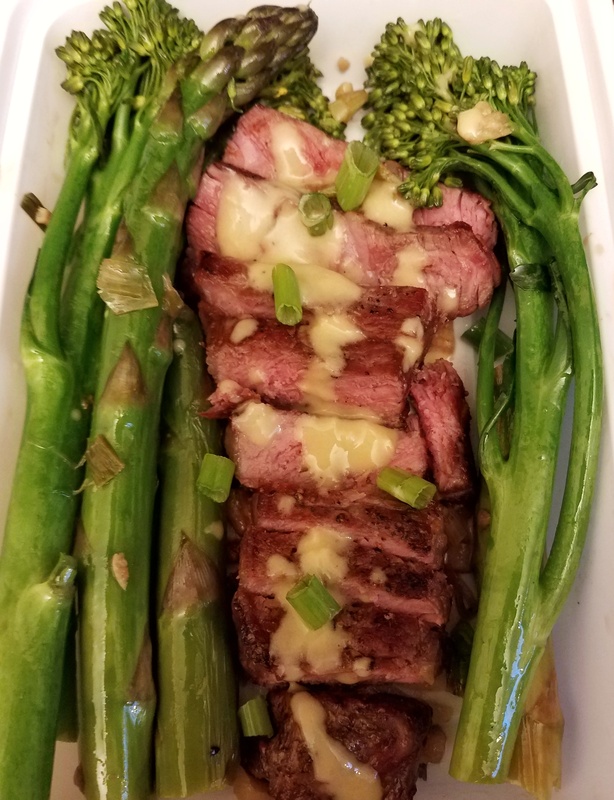 Drizzle with mustard sauce and scallions. 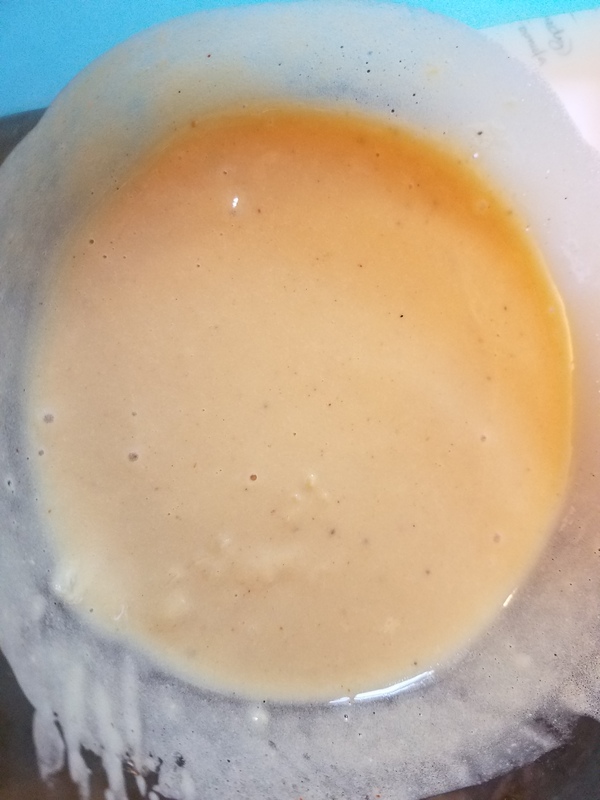 Serve with remaining mustard sauce. When I did try this, I had to say, this was pretty good. I could definitely see how this can be a fan favorite. Did you make this too? What did you think? Feel free to share your experience below.